Happy New Year! The end of 2017 saw a flurry of gaming as I finished up my year-long 6×6 challenge at the eleventh hour. I was happy to get through it and want to thank my friends and family for helping me through all the games. 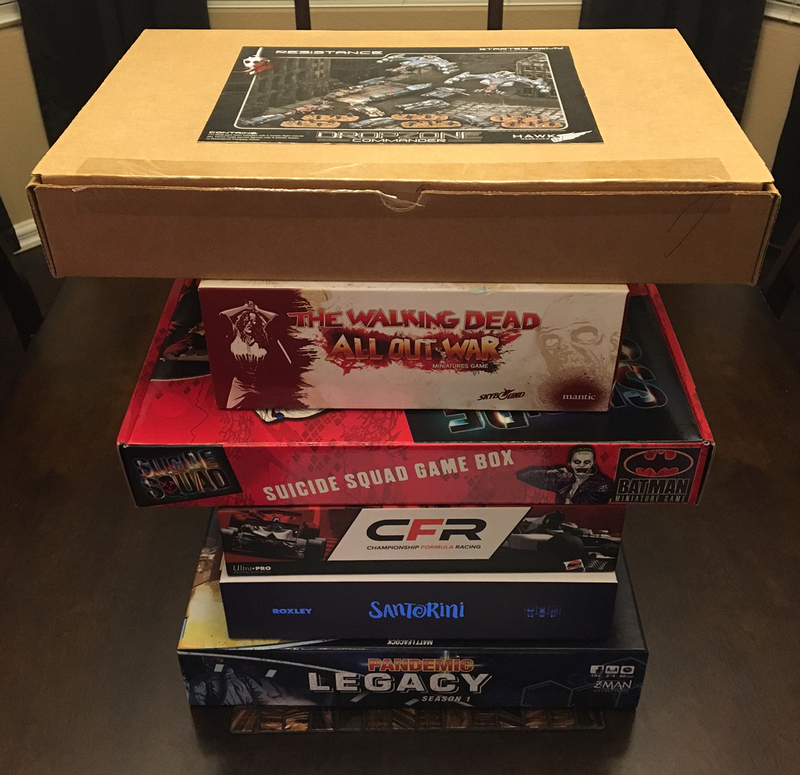 As I mentioned when I first selected this group of games, unless there is a solo option, you are going to be forcing your friends to play a bunch of these and if they are only lukewarm on the concept of repeated plays, it may be hard to win them over. Everyone was a good sport about it so thanks again for the great sessions! This game was interesting as I thought it was an easy choice that would complete quickly but I lost a lot of momentum after the first half of the year so it was actually the last one to cross the finish line. I think it was due to the second wave of kickstarter items coming in and the sheer amount of new content overwhelmed me after completing so much with the first wave. I was able to finish out my first year’s comic arc though and I was able to put the solo rules through their paces. 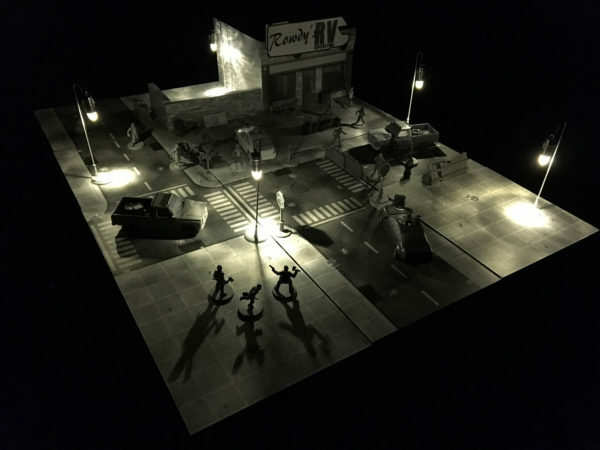 All the work on Walking Dead also helped do double duty for scenery for the Batman Miniature Game. I love that this game started my love affair with monochromatic painting and I plan to keep it up on the rest of my Walking Dead minis and scenery. After playing through six solo games, I found that the game runs a bit too easy. I’ll dive more into this in a dedicated post but I was a little disappointed in the lack of challenge in the Days Gone Bye campaign. I’m glad I did most of these in my comic-style report as they were a bit dry to play in and the extra story I was able to create outside of the printed one kept me motivated to continue (I’m not sure the narrative was strong enough otherwise). 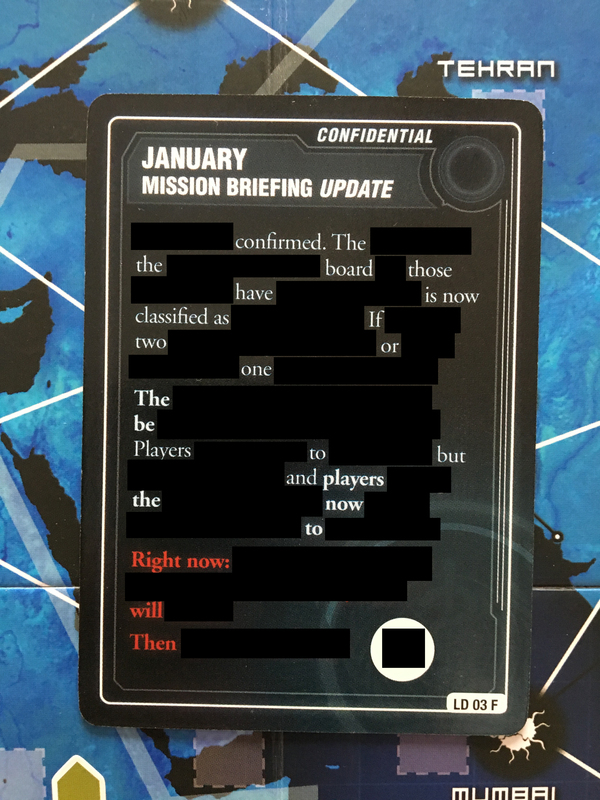 Dropzone Commander almost became an issue when they announced a new version was in the works when I was only halfway through the challenge. I read in some areas that this killed the community as everyone waits for the new version to release. To make matters worse, the company sold everything to another company, delaying progress on the new rules even further. Luckily, my friend and I were unfazed by the changes and our local community also weathered the storm. It likely helps that we’ve decided to take a modified approach and change a few of the rules in anticipation of the actual 2.0 rules so it keeps things fresh. All of this playing has really pushed me to have everything painted and I have a pretty impressive amount of force for my faction. The grow league that has been going on at one of my local game stores has also helped spur the finalizing of my model backlog. It looks like the new company for Dropzone is moving along so I have high hopes for this system in 2018. 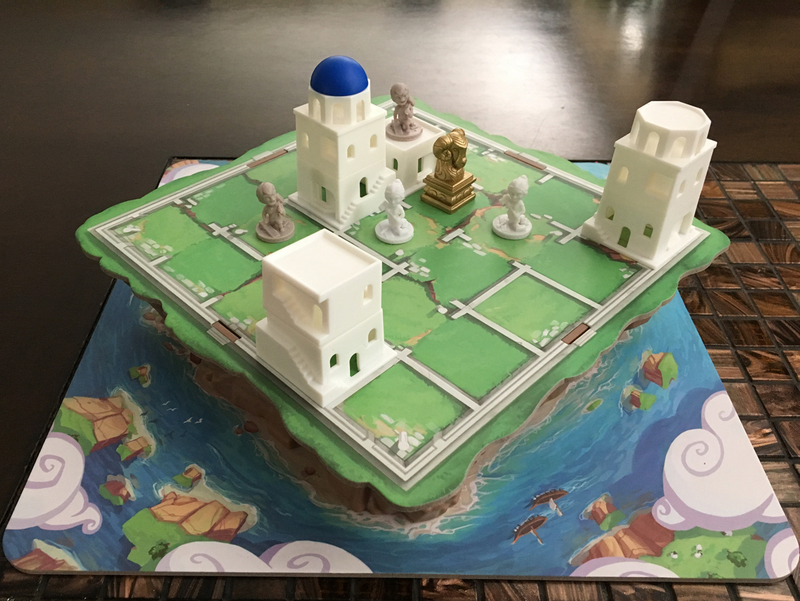 Santorini was the softball-pitch in my challenge. This game plays fast and could easily be thrown on the table at the end of a game night. It was fast enough that I took the “session” approach instead of six straight games as we could have completed the challenge in one night if we wanted. I put the game on here though as a way to try to get a deeper understanding of the game and strategy. I found that while the god power cards are interesting, it makes the game more random and gets in the way of learning the basics. I feel like I would have to play the game a lot more to be able to play confidently. I was a little sad that it doesn’t live up to The Duke, my current abstract favorite but it sure does look purty. It’s so annoying that this game is not called the Batman Miniatures Game. I wonder if that was a translation issue. No matter, the game is a lot of fun and forcing my friend and I to play through a bunch games was a great way to find out if this was a system to dive deeper into or not. This was another game that switched versions halfway through our challenge. Though I completed the six game challenge, I was hoping to actually track through the Suicide Squad campaign book scenarios. 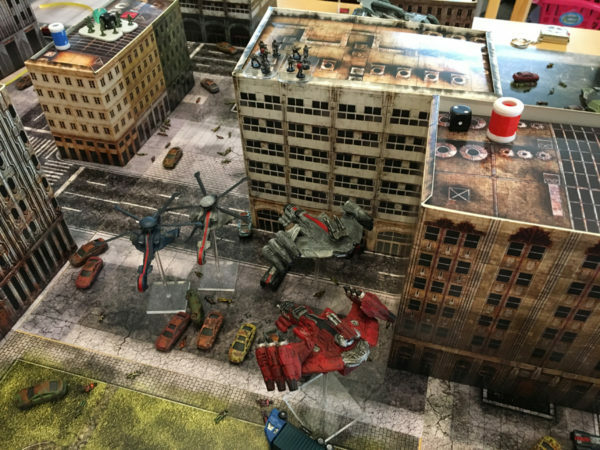 That turned out to be a bit of a stretch as we weren’t familiar enough with the rules and those scenarios have quite a few more models than we have prepped. We’re still very much into the system and with the new version and reconfiguration of the packaging (switching to inexpensive resin models), it looks like the game is getting a nice surge in activity. 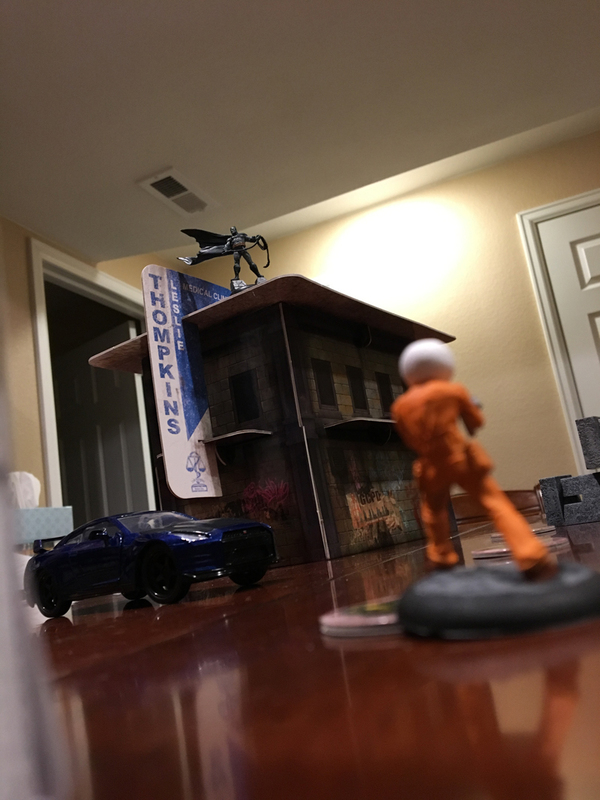 I wasn’t sure how this game would play out as my last attempt at a Legacy game resulted in a 25% complete Risk Legacy game where two of the five players don’t even live in the same state anymore. I figured Pandemic would be a low-risk entry to the Legacy game style as it could ultimately be finished solo if I became desperate enough. Luckily I didn’t have to as my wife was willing to play through the campaign. She is a fan of Pandemic and this sounded intriguing (mostly, she still didn’t like the “tear this card up” aspect). We ended up having a lot of fun with the game and I can see why this made it to the #1 rated game on Boardgamegeek so fast. I went out and picked up Season 2 as well so we’ll likely run through the second campaign in 2018. This game was probably the riskiest game I put on the list because it wasn’t even released until April. Not only did that mean I’d lose several months of gaming opportunity but I wasn’t even sure I’d like the game enough to put it through six sessions. 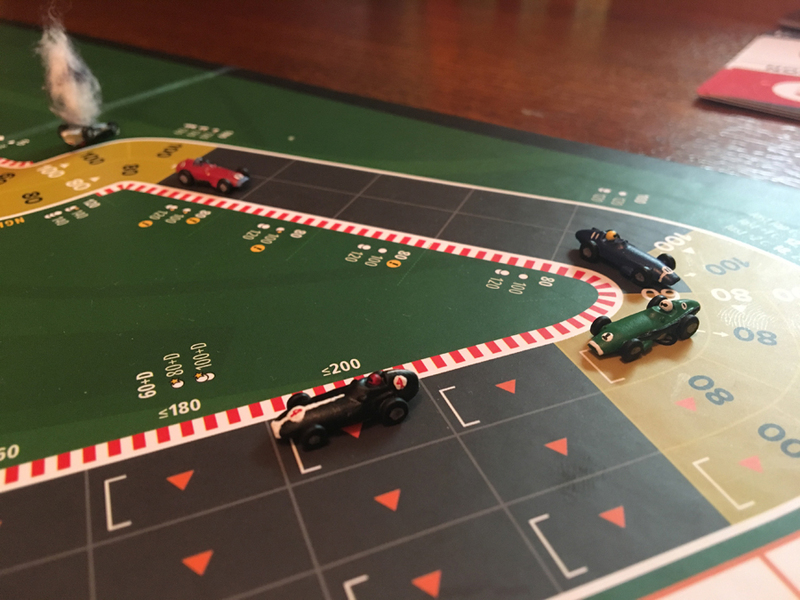 All fears were smashed when, to get more familiar with the rules, I ran my first session with on the Historical (AI) Drivers. I knew from that first game that it was the racing game I’d been looking for. I then had my friends play a few sessions and it seemed to be a big hit with them as well. I wasn’t able to get any further with my game nights but found the AI system to be more than enough to keep me entertained and I’d say it is easily one of the best solo games out there. A big thanks also to Sean’s Gaming and Shooting Blog for tipping me off to the challenge that The Stronghold Rebuilt was running. I’m still deciding on if I want to run a challenge for 2018 and if so, what it would be. Trying to get my friends in as a joint challenge met with mixed results so I might try a solo-game only challenge or I just march ever forward and repeat the same challenge again (likely changing the game list out for 2018). Since 2018 is already here, I’ll have to make my decision quickly. Hopefully, I’ll have it up by the end of the week. I’m glad you joined in on the challenge. I failed to complete it, but got pretty close. I don’t think I will be doing the challenge in 2018, but will still be playing games. As it turns out, I don’t really like playing most games over and over… Even just 6 times. Thanks Sean! One of my friends would rather hit different/new games as well and doesn’t like the idea behind the 6×6 challenge so I definitely understand that point of view. Ping me if you want some new toys for CFR Historical Driving in 2018.